Shen Che-tsai was born in Shinying Township, Tainan County, in 1926. Shen’s father was a poet, and he was influenced by his family upbringing and was interested in the arts since he was young. Shen entered Tainan Second High School of Tainan Prefecture (now Tainan First Senior High School) in 1938. In 1941, Shen’s oil painting The Liu’s Household was selected by “Tai-yang Art Exhibition” when he was just a ninth grader. In 1943, his watercolor painting Ming-lun Hall was selected by the sixth “Taiwan Governmental Fine Arts Exhibition.” The two prizes Shen won were great encouragements for him and he later decided to study at art schools in Japan after his graduation. Nevertheless, the breakout of Pacific warfare stopped him from fulfilling his dream. After the restoration of Taiwan, Shen earned his living by teaching and continued his career in painting under the instructions of Liao Chi-chun and Kuo Po-chuan. 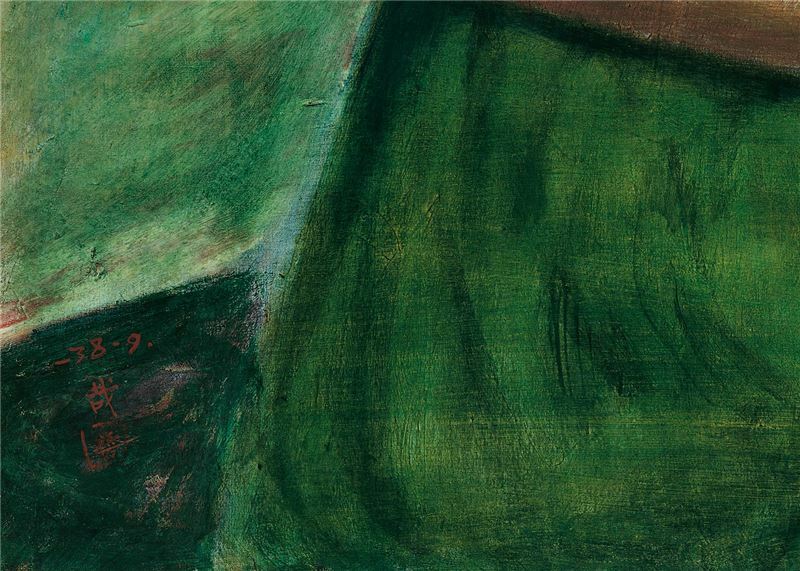 Though Shen never entered any art academy to receive formal art education, he went on making efforts in painting. He had won various prizes from national scale exhibitions and competitions and earned himself an honorable qualification to present his artwork directly in “Taiwan Provincial Fine Arts Exhibition” and “Teachers’ Art Exhibitions.” His achievements had already been proven to other members of the contemporary art scene. Shen won the Prize of Excellency in the 14th “Taiwan Provincial Fine Arts Exhibition” with Human Figure. Human Figure was collected by Taiwan Provincial Government Bureau of Education and later passed to the National Taiwan Museum of Fine Arts. 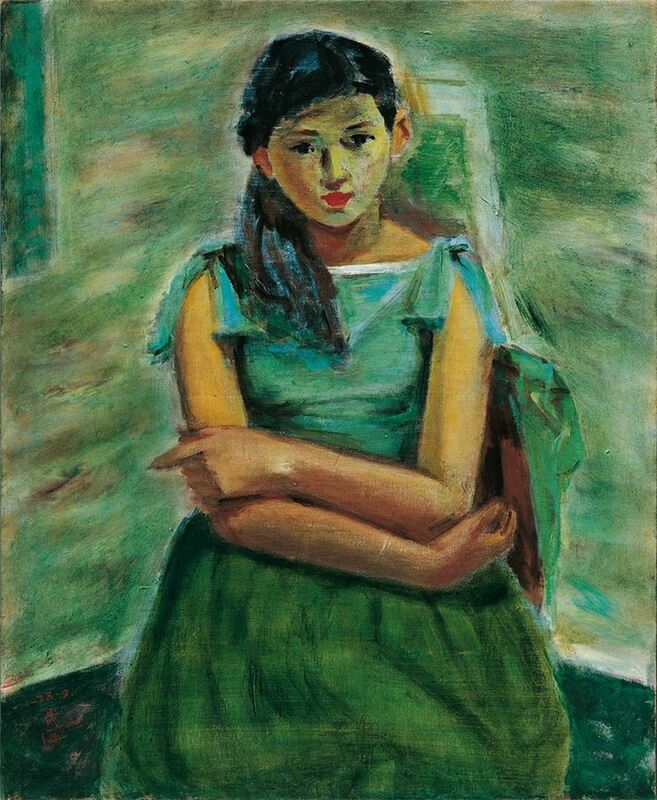 The portrait is painted in Shen’s early style featuring rough sketches, timid colors and intensive contrasts which clearly conveys the spirit of its subject—a sitting damsel. The white strokes embellishing among green hues on canvas provide the painting with striking key points to draw viewers’ attentions. One will immediately think about Shen Che-tsai when talking about the respected painter who painted female portraits among Taiwanese peers. The delicacy and tenderness of females portrayed in his paintings represent his major aestheticism in painting. When portraying females, Shen is able to devote abundant emotions into his theme, and he can control and interpret it better, therefore he insisted on working on it, especially on painting young damsels. Those works on females are the major works of Shen’s career. His representation of the female image is also the highlight of his artwork. Through his empathy of woman and his expression in painting, Shen presents his talent with colors and graphics in his creativity. 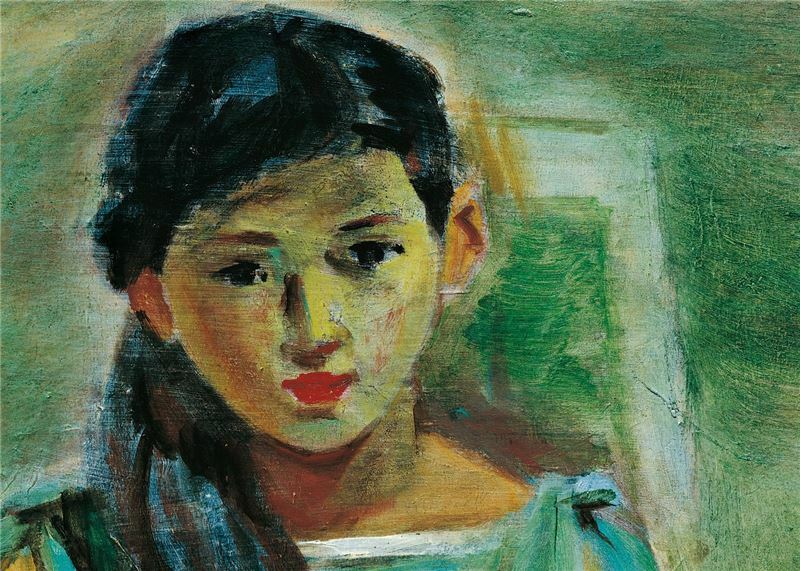 Shen Che-tsai’s main works consist of female portraits. In these portraits he captures images of beautiful and innocent damsels with meticulous care and flawless artistry. 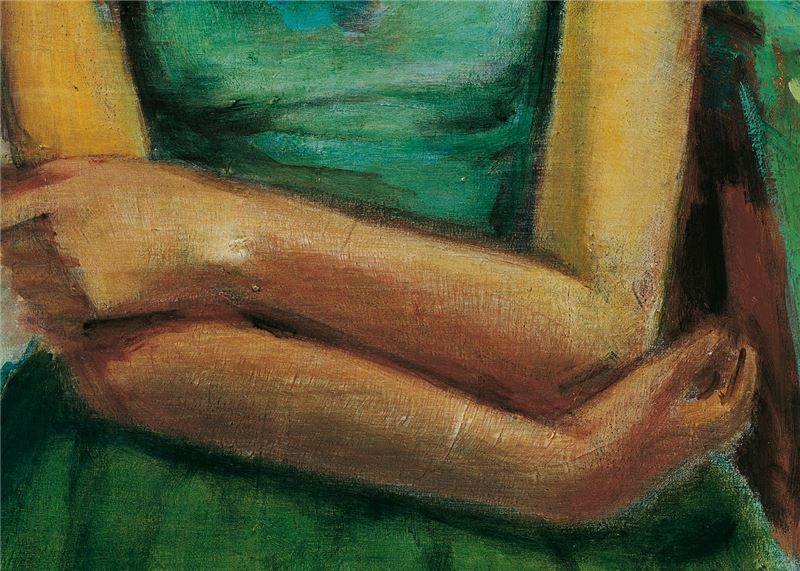 His depictions of the tender and mild nature of female characters are filled with romantic sentiments. He has a unique sharp sense and sentiment toward colors; therefore he is able to fully express the beauty of color, creating artwork with imagination, aestheticism, and mystery within the flourishing colors.